Why Whey… and its alternatives? I must admit, after receiving my copy of Nourishing Traditions i have gone a little nuts on lacto-fermentation. It was always my plan, it was something i have wanted to do for ages and i don’t look like slowing down anytime soon… i still have many thingsd i would like to ferment and i am enjoying the results! I make my own… or i should say, i made my own. Completely by accident and then i threw it out. I had no idea it was so useful or good for me. This is the recipe i used. It is supremely easy and the delicious by-product is ricotta cheese. However, if you are completely against making delicious cheese and other various dairy products, or if you are very intolerant or allergic to dairy you may need an alternative! Just for the record, many people who are dairy intolerant can still have whey – but why would you make whey if you can’t eat the wonderful cheese? For soaking grains, flours and making cultured veg – simple alternatives are either lemon juice or vinegar, preferably a good quality organic apple cider vinegar, but start with whatever you’ve got. Salt is another alternative for cultured veggies, but make it a good quality sea salt or the pink himalayan from an ethical source. Please try and loosely follow a recipe to ensure you are using an appropriate acid/salt for the product you are making. The acids in the vinegar and lemon will help break down the grains and the phytates and make the food more digestable. Whereas salt will assist in preservation of veggies and keep the crunch! 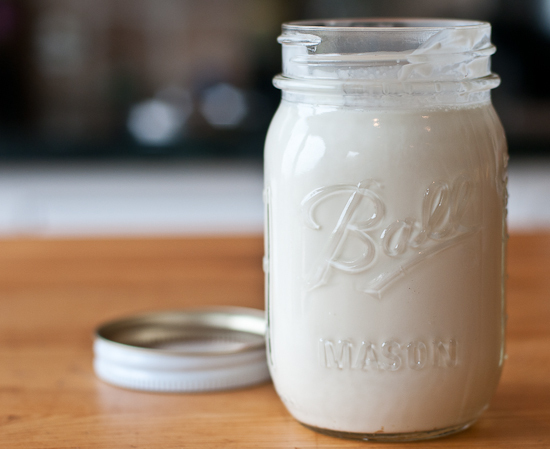 I hope this helps you delve a little further down the road of fermentation, cultured dairy and it’s alternatives… it is a good start, but i will be following it up with posts on kefir, milk kefir, buttermilk and cultured creams and yoghurt.